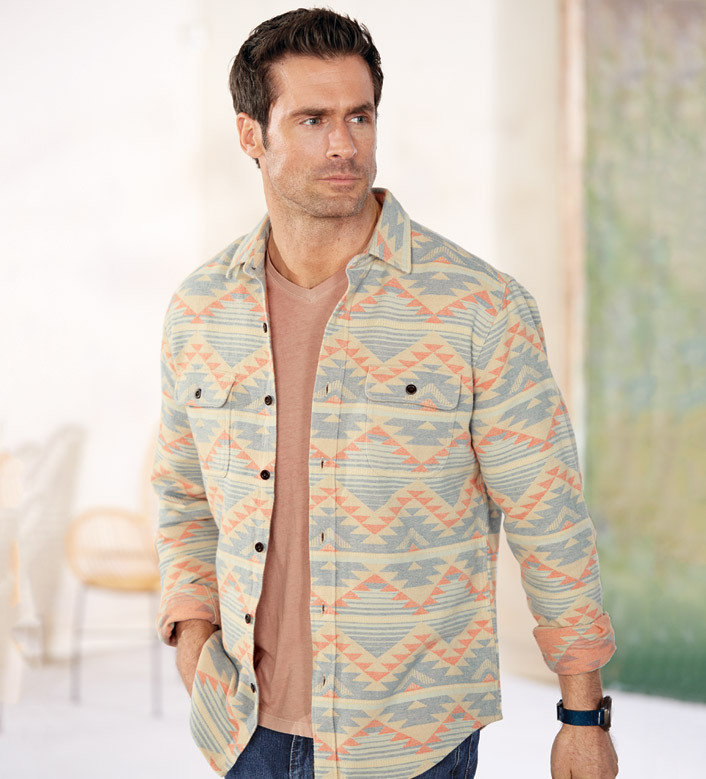 Rugged workshirt styling in dramatic, blanket pattern on 100% cotton. Long sleeves, spread collar, double button-flap chest pockets, slightly curved hem. Machine wash. Imported.